The impact of high medical costs incurred from an accident or a debilitating disease can strap your cash for decades even after you recover physically. Doctor bills play a role in 60% of bankruptcy filings. Wow! This researched article below gives some insight. Having the right insurance protection up front gives you a barrier to disaster financially while dealing with the physical components. Take time to talk. Don’t go this alone. Whether we can help you or someone else, it is always worth talking through openly and honestly and expeditiously. It might be impossible to predict the onslaught of a major medical expense, but there are ways to hedge against them with right insurance and planning. Give me a call and share your concerns. We can listen and assist you with information you may not have . 3 things to do this National Consumer Protection Week. Reposted from the CMS email. Great stuff. The Center for Medicare and Medicaid Services administrates all medicare, advantage programs, prescription drug, supplements and more. The insurers and agents and medical providers that work with these must adhere to CMS guidelin es. Of course the image is mine. Happy National Consumer Protection Week! Now’s a great time to brush up on your Medicare rights and protections, and take action to protect your identity. Protect your identity. Identity theft happens when someone uses your personal information without your consent to commit fraud or other crimes. Guard your Medicare Number and card, and keep your Social Security Number safe. Help fight Medicare fraud.Use your MyMedicareaccount to stay on top of your claims. If you find errors or fraud, report it to us. Don’t have a MyMedicare account yet? Sign up for free at MyMedicare.gov today. Know your rights. You have certain rights and protections designed to make sure you get the health care services the law says you can get. This message is paid for by the U.S. Department of Health and Human Services. It was created and distributed by the Centers for Medicare & Medicaid Services. You’re receiving this message because you signed up for email updates from the Medicare Team. Please contact support@subscriptions.cms.hhs.gov if you have questions or problems with your subscriptions. Posted byPhil Larson March 5, 2019 Posted inRandomsLeave a comment on 3 things to do this National Consumer Protection Week. Over the last few days, I have been convened with a little under 1200 grandparents pursuing legacy. There are people of prayer here. There are people of faith here. They have wisdom and they want to be heard. They have a voice. It says. Cherish family. Protect and value life. I will finish strong and loud. God matters. Be prudent and reasonable in government and community and business. One of the visions cast is to go to national media with the message. This quick video says much of it. Envision a super bowl commercial. Envision bill boards. Envision the magazine. Envisions social media. Envision the message loud and strong and NOW. Our days are numbered. The countdown to eternal destiny shortens by the day. Our time is now. This generation of senior adults will live longer than any before. The boomers will be around for a few more decades. In those decades the voice must be heard. The message must be spoken loud and clear. Cherish family.Protect and value life.I will finish strong and loud.God matters.Be prudent and reasonable in all you do. grandkidsmatter.org is the core information and training site for the National Association For Grandparenting headed by the chief visionary, Dr. Ken Canfield. For 17 years, Ken and I have worked together in the National Center for Fathering (NCF) (fathers.com) and now the NAFG. Be a joiner. Be a supporter. Watch this video and imagine many such with the core underlying message. Wow. Read through this article. This amazing woman and her friends are taking advantage of their good health and trekking. A cross country trip promises to inspire all of us. After you finish this story, zip over to the notes from Dr. Ken Canfield on modeling a strong and healthy marriage as part of a strong and healthy lifestyle. Get tired of scams and spams? Even in the Philippines, it takes intervention to protect. See article below. If you are on Medicare, remember you have rights. The United States has a Center for Medicare Services where you can get tons of information and file grievances, appeals, and more… Keep it bookmarked. Phil and SOLUM are on a new adventure. After almost two decades of working with Dr. Ken Canfield first at the National Center For Fathering (fathers.com) and now the National Association for Grandparenting (grandkidsmatter.com), we lauched an insurance benefit initiative for you, the grandparents and parents of generations. Our non-profit outreach SOLUM Community Transformation Initiative is thriving (solumcommunity.net) and fixing fractured families. Now we are here for you to help you build your solid financial foundations, secure important relationships, and launch your legacy into generations through benefits development with NCF and GKM. We are leaving all of our blog content on management and wanderings for you to peruse. No use throwing out. We will reorganize a bit to make it easier, but there it is. As a process engineer this story is just too real to ignore. My wife gets great service at Big O tires. I appreciate that a lot. So I use them, also. Auto work is always long no matter where you go. Price is normal, but if you take care of my wife, I like you. I get mediocre to bad service from Big O tires. It is always a hassle of change orders, out of stock surprises, and long waits with a whiney TV in the foyer. So I bring a computer to get work done. But they serve my wife well and I appreciate it. The biggest frustration has been being told each time for a decade that I don’t exist and have never done business with them before. I have spent thousands of dollars with them. Tires, brakes, alignments and more get done there. But they serve my wife well. Today, here we go again. I went in a week ago to get warranty on an alignment and two new tires on the front. They as usual are out of stock. I made the appointment for 7:30am for today in hopes I could get on with my day. Two days ago I confirmed with the salesman. It is 11am as I write this. 4 hours for a 30 minute job. They did not have the tires and had them brought from another shop. These are not the tires ordered, but they will work. As usual each time the told me my truck and I are not in their system. I was rested and ready for the wait, so I thought for a minute. How can they be so lost? So I went out to my truck and got out a past warranty and looked at every identifying field. There was VIN, model, year, date, address, and my wife’s name. All this time, they are looking for my name and I don’t exist. Apparently their system can’t look up all the other identifying information. The adept front desk worker offered to put my name alongside my wife’s so they could find me in the future. Processes are designed to enable ease and allow you freedom to think versus make the simple decisions. Think. Think. Think. Your customer will appreciate it. Service still is long and drawn, but they serve my wife well and now I have a name and the next time they might serve me better. I hope it doesn’t affect her being served the next time. The bright post on the outside office wall catches my energy eye each whistling morning. Cat Skinners titles the picture of an animated lion on hungry hunt. What department is Cat Skinners? Not IT or Mail or Imaging or Client Sevier or Marketing or Print Production or Finance or Planning but Cat Skinners. PETA is mad somewhere. Do they really skin cats behind the doors of this office complex? There is more than one way to skin a cat. I think of that motto as I imagine a modern day cat skinner. Is this the problem solving department? Do they take complicated issues and make them simple? Maybe, being a cat skinner is like being a mule skinner. 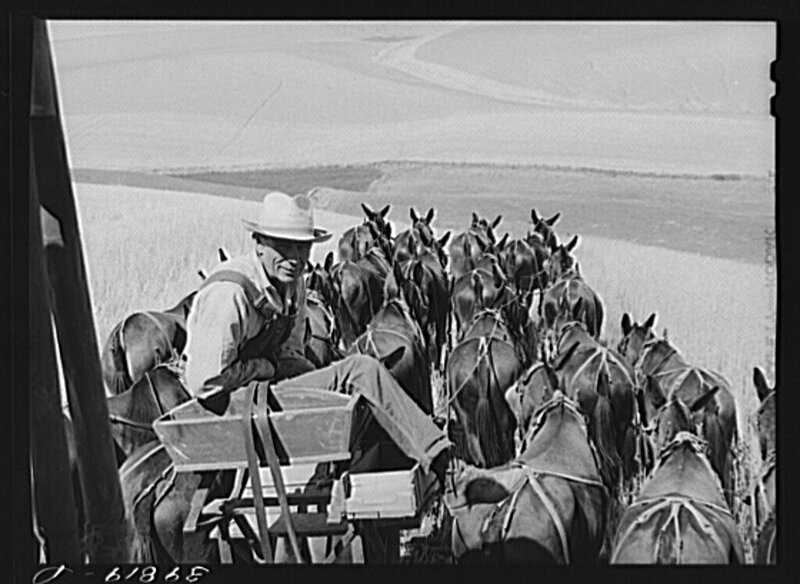 These early day truckers hauled and worked with mules. They could get the onery critters to do the work. Stubborn, mule headed beasts of burden resistive to direction and taming were tamed and taught and made functional under the care and cajoling of the mule skinner. What others could not do, they did. Both is the answer. Do you have a Cat Skinner department? Are you in it? The original poster was in our client services team of grafacceńt, a digital print publishing group born of innovation. It was a joy birthing and developing and leading this powerhouse team. They found solutions where solutions could not be found. Love the product. Love the client. Love the team. That was our motto. We lived it. Yesterday, I put the poster up again. Our team at SOLUM is doing it. Love the program. Love the clients. Love the team. Allie, Danny, Danny, Matt, Dawn, Ashli and Phil. Here we are at it. More are joining the team. A judge and a businessman came to me at separate times yesterday. Both commented, “Tell me about the Hope Program. People are telling me how much they appreciate it.” One was on the phone from another state. We did not have a title for what we do, we just do it. The streets have given us a title, the Hope Program. People have hope restored and families healed. I like that. My title came from the streets. The Think Doctor came from those we serve. That is stronger than a university acclimation. We love the people. Our Cat Skinners love the product of good thinking and hope. Our Cat Skinners love the people we serve. Our Cat Skinners love each other. Get a Cat Skinner attitude. Prod problems into possibilities. Coach calamity into calm. Anchor anxiety into assurance. Find a way where there is no way. Get a few folks in your work place to walk that walk and you will find new joy in your journey. Work takes the amount of time allocated to it. Emblazon that truism on your computer screen, smart phone, and tablet. Get it in front of you. Write it on your forehead and scribe it on your heart. Work takes the amount of time allocated to it. Now let us handle arguments. It changes while you are working on it. If you can’t in a few minutes write out the process by which work is done, you do not know what you are doing. Get to know what you are doing. Examine it. Make allowances for variances. Allocate the right amount of time. Tighten up the scope and practices. Priorities change because you do not have priorities that are communicated. A customer comes in and you shift the job at hand. You lose time starting and stopping. The work still takes the amount of time allocated to you. You just keep changing the allocated time and it takes longer. Okay, fix it. While it is down you are not working on the job. You are working on the fix. When you get back going, guess what. Work takes the amount of time allocated to it. It is harder than I thought. Think more. Examine. Plan. Organize. Become better at accurate allocation. Some people are faster and some are slower. Design jobs for Joe and Jane Average. Quit designing work for Wonder Woman and Super Man. Quit designing work for sloths and snails. Design to the middle and the slow will step up and the super will take on other jobs because they can’t stand to not be busy. Allocate right. Okay, get to work. Get it done. Prove yourself valuable.